uNopia is a collective bringing together several young artists from diverse backgrounds. Together, we conceive and create the performances of the 2019 tour. 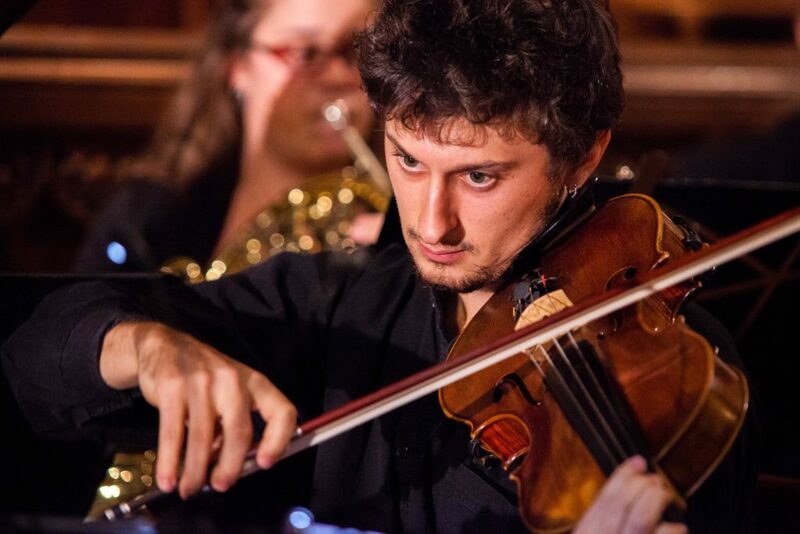 The fruit of musical meetings between artists rich in different experiences and artistic back-grounds but sharing one passion, the uNopia project sets out to offer classical music in all its richness to the European public. With the objective of realising this project and offering quality, original concerts, uNopia is currently mobilising numerous artists across Europe. Let us first take a more detailed look at the artists at the heart of this project. Gilhem’s passion for travelling and sharing music led him to dream up this adventure, uNopia, which he hopes will bring together the artists he loves and admires. 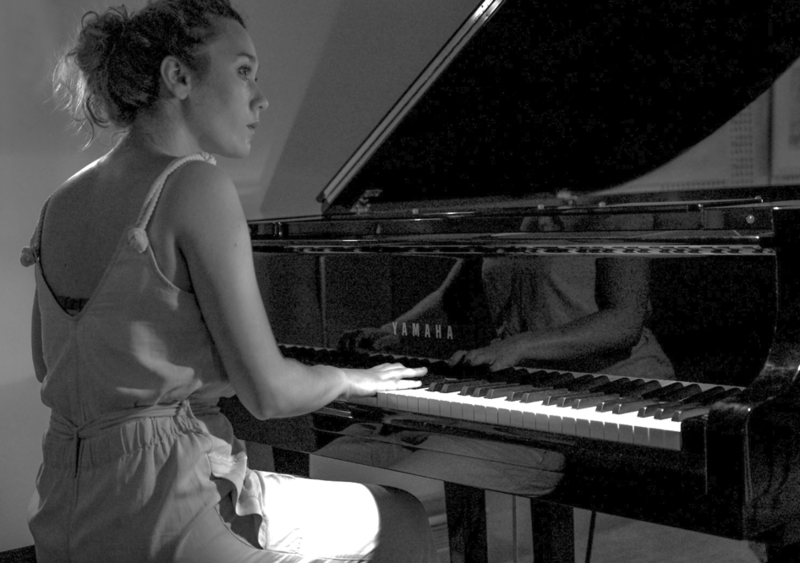 The twenty-seven-year-old pianist has led an original career. 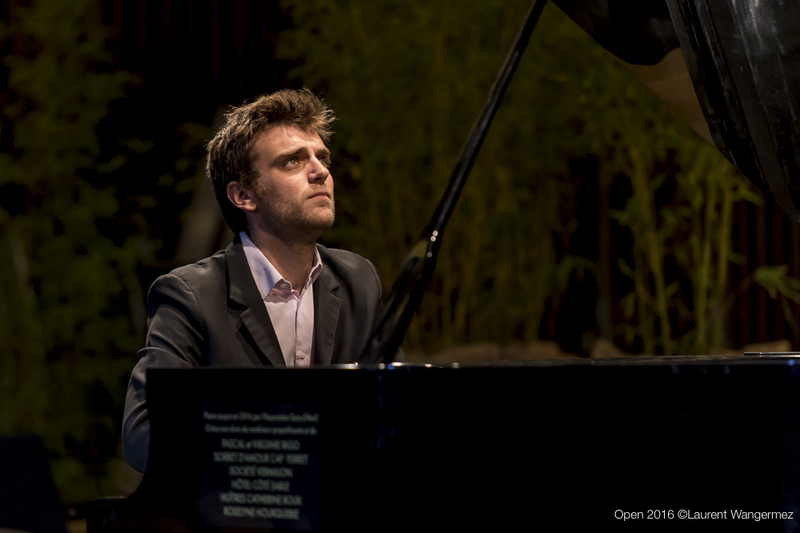 A graduate of the Conservatoire de Paris and the Gnessin Russian Academy of Music in Moscow, he has devoted himself to both a solo career in France, Russia, and elsewhere and many original shows with Olivier Py, among others. 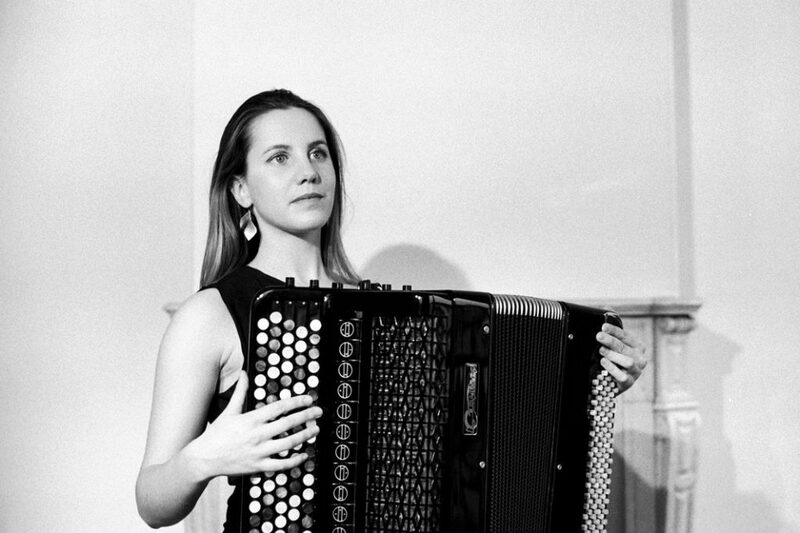 An innovative accordionist, Sophie champions a modern style and repertoire and knows how to give the “classic” accordion a new sound. She studies with Max Bonnay at the Conservatoire de Paris. Sophie’s renditions of baroque, classical, romantic, and contemporary pieces as well as tango music allow her to display today’s accordion. She is the winner of several competi-tions, including notably the Zonta “Young Talent Prize” in 2017. En 1992, François entre au conservatoire de musique de Rochefort/mer. il y étudie le solfège et l’accordéon pendant dix ans. En 2008, il intègre l’école Florent, où il suit les cours de Frédéric Haddou, Bruno Blairet, et Benoît Guibert. En 2011 il rejoint “La parade d’octave” pour écrire et mettre en scène “Ce qu’on ne dit pas” et “On se mouille”. Parallèlement à cela, il joue sous la direction de Xavier Bonadonna, “Les étoiles d’Arcadie” au Théâtre du Soleil (Tremplin jeune talent), et d’Olivier Py, dans “La jeune fille le diable et le moulin”, “Orlando ou l’impatience” et “Les Parisiens”. C’est à cette dernière occasion qu’il fait la connaissance de Guilhem Fabre. Olivier is an eclectic musician who has embarked on a path of performer-creator thanks to encounters with multi-instrumentalist and composer Garth Knox and Ibrahim Maalouf. He regularly performs as a soloist and chamber musician in music festivals around the world, including Ensemble Kamaan. His latest composition, Undō, for viola, electronics and video has been selected and performed at the International Congress of Alto (NL) and in many festivals in Montreal (CA), New York (USA) and Staffordshire (UK). Olivier will be in residence at the Cité Internationale des Arts in Paris from July to December 2019. uNopia is one of the projects he enjoys promoting. Sarah is a pianist with atypical affinities. Passionate about different musical styles (Indian, Balkan, Irish, Argentinian, …), she regularly performs as a soloist, in chamber music ensembles, and in troupes. Regardless of the setting, Sarah takes care to offer original, varied programmes that sometimes combine different art forms such as dance or theatre with music. In 2016, she began her postgraduate performance artist diploma at the Conservatoire de Paris under Frank Braley. She received a prize from the Fondation Banque Populaire in the same year. Johanne is a graduate of the Guildhall School of Music and Drama, the Conservatoire de Paris, and the University of Provence (Master of Letters and Arts). Winner of the “Muses of the Opera of Nice” competition, she has performed a broad repertoire as a soloist – from baroque to contemporary – and explores the possibilities of musical crossings, especially with Eastern music. Keen on musical exchanges, she discovered Russia during a recital with Guilhem Fabre in Kazan and dreams of seeing the uNopia project succeed. 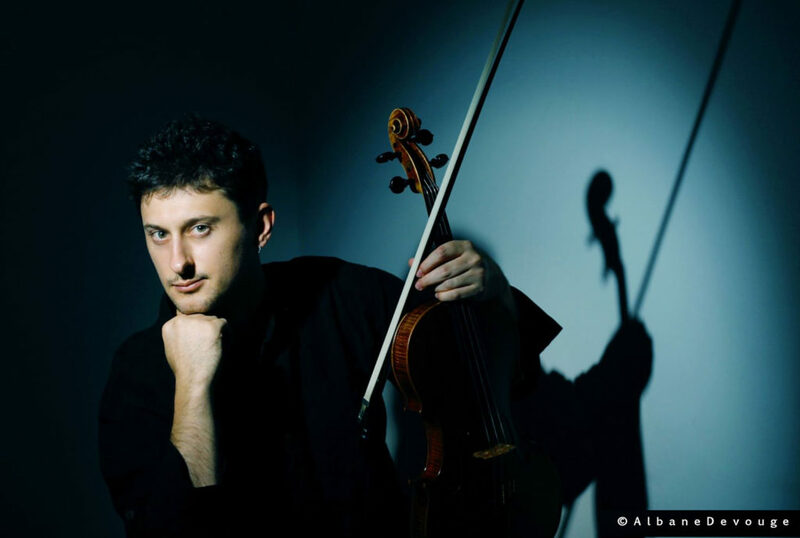 A 28-year-old violist, he won first prize in the international competition Gérardmer-Kichompré. In addition to classical music, Olivier has always developed original partnerships. For the past seven years, he has taken to improvisation thanks to enthralling meetings with musicians like Ibrahim Maalouf and Garth Knox. In Montreal, where he lives and perfects his technique, he joined different ensembles such as the electroacoustic ensemble Iléa and the Iranian music ensemble Kaaman.